I've not yet read the Percy Jackson series, but this book looks pretty awesome! Really excited to read it! Extreme excitement over this book! It sounds amazing, and there has been such buzz around it on the blogosphere! Really excited to read it! I've not seen brilliant reviews of this book, but I love the sound of it, so I thought I'd give it a go. Sounds pretty cool! The final book! I am extremely excited and far too sad! Can't wait to read it! Will be reviewed on Ink and Paper. This book arrived before the review copy. D'oh! Ah well. This series sounds amazing, so I'm so excited to have won them! Can't wait to read them! 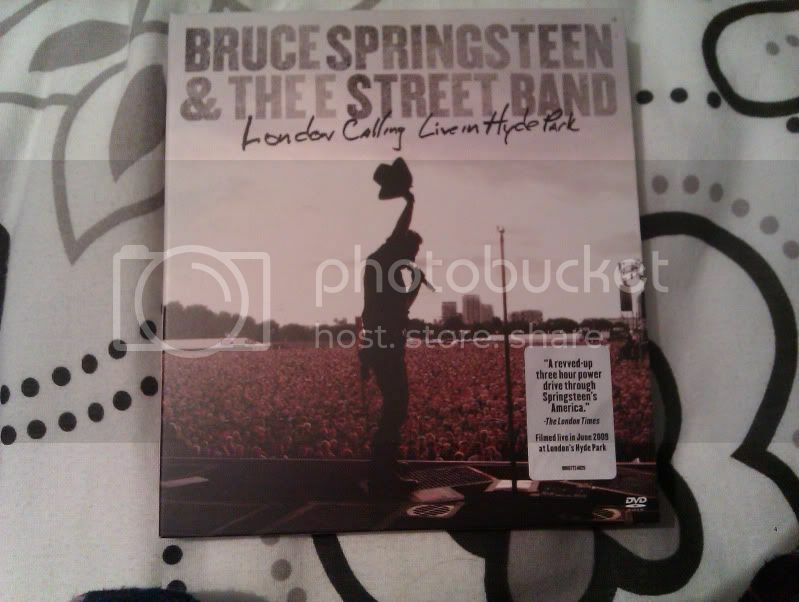 Not book related, by one of my awesome mates Adam bought me the DVD Bruce Springsteen and The E Street Band: London Calling Live in Hyde Park - just because he took a while to get some books I lent him back to me. He is too awesome, and I am excited! So I'm a pretty happy girl! OMG You have Michael Scott! I love him! I have read the first two, Magician and Alchemist, and i loved them. I'm planning to buy the rest soon! I'm sure you will enjoy them! The Lost Hero!!! Woo hoo! I cannot wait to read it. 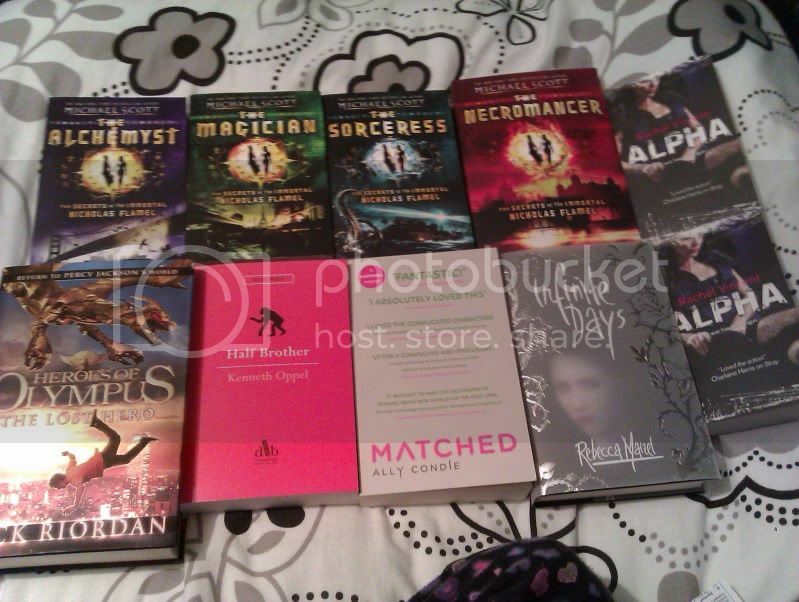 I have two books to read first (I did promise) but then I am going to read it all in one go. Enjoy! BTW, Half Brother sounded amazing when the girls at RH spoke about it at the blogger event so I am sure it will be brilliant. Thank you! :) I'm looking forward to reading them! I didn't love Infinite Days but I've heard amazing things about Matched. I hope you loved Matched. I couldn't put it down. Michelle - I'm so looking forward to reading Matched, it sounds amazing! Hey, I love Michael Scott Books. I already read the first two books and done a review on my blog.